Optimizing a website for the search engines can be a tedious task. Thanks to the various web-based tools available today, you can automate a lot of work. However, in a sea of hundreds of professional SEO tools, it can be quite a challenging task to find ones that are best suited for you. With the ever-changing SEO scene, analytical tools have evolved and become more suitable for certain tasks. This necessitates the need to know the specific functionalities of some of the most popular tools. Let’s take a look at a diverse set of professional SEO tools that can serve various purposes. This will help you get a holistic picture of how various SEO tools can help you improve your search engine rankings. This browser-based tool is very simple and easy to use. All you need to do is enter the website URL in the field provided and hit “Enter.” You’ll then get to see whether the website is mobile-friendly or not. You’ll also get to see some additional resources and suggestions to help you make your website mobile-friendly if it’s not already. Considered the ultimate mobile environment tester, BrowserStack allows you to test your website on different browsers, operating systems, and devices. This diversity of choices offers the user the freedom to sculpt the environment according to their particular preferences. There are several professional tools online that can help you find the right keywords so that your website can rank well in search results. Moz’s Keyword Explorer is a comprehensive keyword research tool that helps you discover profitable keywords. This tool allows you to prioritize the best keywords to target based on their search volume, difficulty (competitiveness), opportunity (organic CTR), and potential. You can use this tool to create lists of high-quality keywords that seem profitable. Their SERP analysis report allows you to check the top ranking articles on a particular keyword and analyze the kind of content that works well. This tool offers you not only an overview and search trends of a keyword but also other useful information. It also provides you with keyword ideas and a SERP analysis of a given keyword. 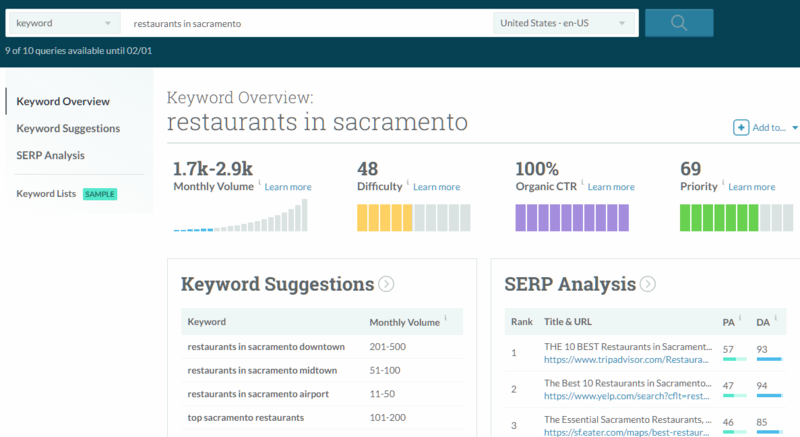 You can use this tool to find the best keywords that are low in competition and have high search volumes. Backlinks can either make or break your website. Backlinks should be relevant and not added in your website content without any context or purpose. Google is likely to penalize websites that have spammy or irrelevant links. Thankfully, there are professional tools that will do the job for you quite efficiently. This tool helps you to remove bad links from your website. Their algorithm uses Machine Learning to detect bad links on your website and weeds them out effectively. This automated method is way better than the manual check-and-remove method. Their link removal solutions provide various functionalities such as link discovery, link scoring, disavowing links, and webmaster outreach. Check My Links is an easy-to-use link checker extension for your Chrome browser. It quickly crawls through your webpage to check all of the links present on that page. Once you add this extension to your browser, you can review the link results of any page. 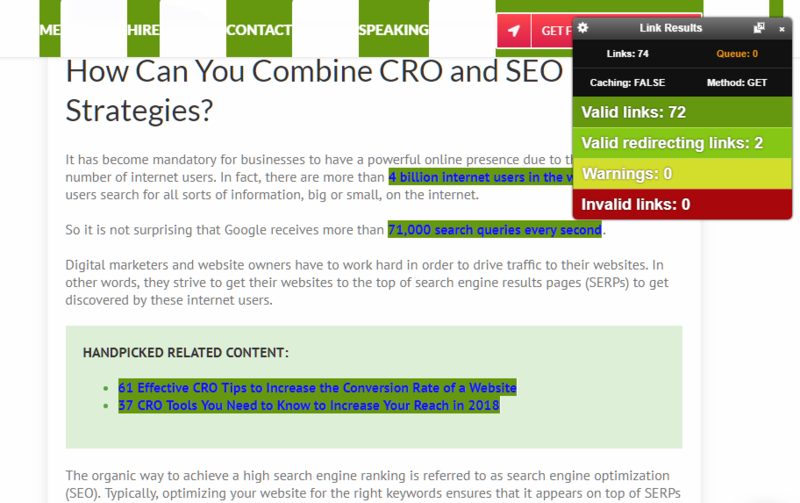 Check My Links highlights all valid links in green and the broken ones in red. You can use this tool to discover broken links on relevant, high-authority websites and ask them to link to your resourceful content. As an SEO professional, it is necessary for you to monitor and track the search engine rankings of your website for target keywords. This will help you analyze the effectiveness of your SEO strategies. The following search engine rank checker tools can help you identify where your website stands against your competition in the SERPs. SERPs’ Free Keyword Rank Checker allows you to check the global and local rankings of your keywords. It shows you the top 250 search results for any keyword in Google or Yahoo. You can filter the results for any particular domain, location, and device. In fact, you can also get search results from an exact location using its ZIP code. Pro Rank Tracker is one of the most comprehensive rank tracking tools that provides you with a complete picture of your SERP rankings. It helps you analyze the results of your SEO initiatives with advanced, up-to-date reports about your daily rankings, mobile keyword rankings, and local rankings. You can access this tool from anywhere, anytime as it is a cloud-based application that works on all iOS and Android devices. Content marketing can help you improve brand awareness and recognition and build lasting relationships with your audience. It can also help you build authority and credibility in your niche. However, you need to create and promote content that is unique, authentic, keyword-optimized, relevant, and valuable. There are a number of tools that can help you analyze the effectiveness of your content and learn the best ways to improve it for better visibility and engagement. Ryte Content Success assists you throughout the content creation process. It helps you monitor the performance of your content to see what resonates the best with your audience. You can also use this tool to identify engaging topics and relevant keywords to target. It will help you craft content that both your readers and search engines will love. The following SEO tools can help you monitor, track, and optimize your website content for better visibility in SERPs. 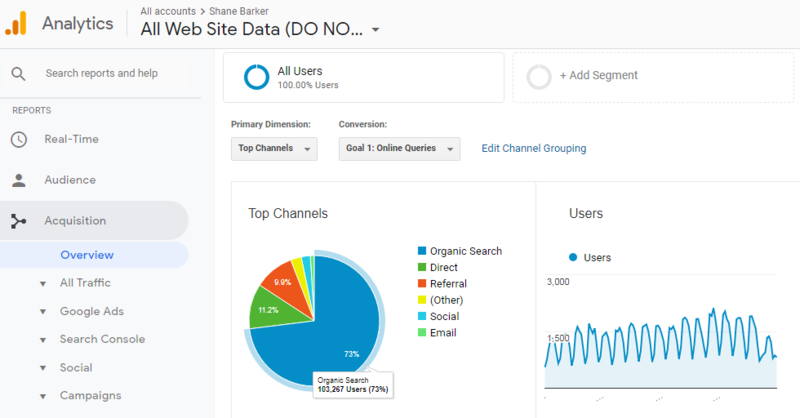 Google Analytics is a feature-packed SEO tool that provides you with valuable SEO and marketing insights for your business. You can monitor, track, and analyze the traffic to your website, where your visitors come from, who your audience is, how much time they spend on your site, your top-performing content, and more. All of these insights can help you discover new opportunities to optimize the overall performance of your website. This can help you improve your search engine rankings. Google Search Console tools and reports help you improve the performance of your website in search results. It enables you to optimize your content for better visibility, index individual URLs, receive alerts about website issues, and fix them. You can use it to understand how Google looks at your web pages and make your site shine in the SERPs. SEO is a continuous process. You need to constantly monitor the performance of your website and optimize it. There can be a number of issues on your site such as broken links, low-quality content, a poor user interface, etc. The professional SEO tools mentioned above can help you identify these issues and fix them, You can leverage them to gain valuable insights about how to optimize your website for better visibility in search results. Which is your favorite SEO tool? Let us know in the comments below.